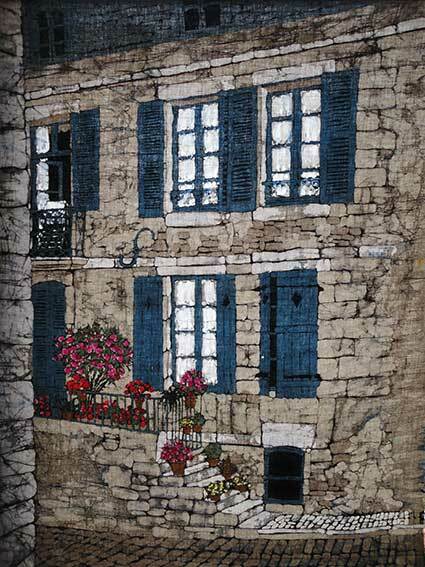 This large painting is really a study in the texture of old stonework. I used a lot of cracking to get the crazed surface of the stones, and dyed blue on the back of them to get textured shadows. 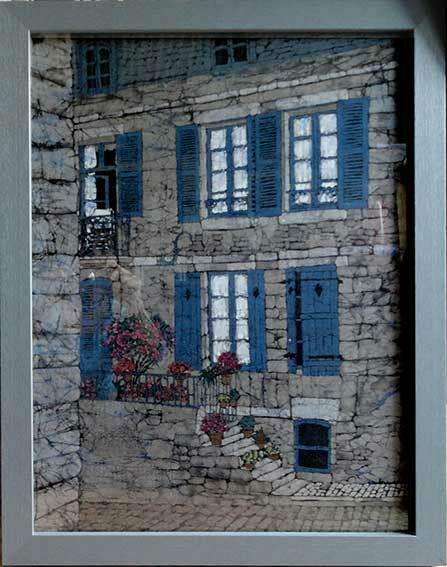 I love that 'French' blue they use for their shutters and I had fun with the lacy white curtains.